This newsletter is a vehicle for members of the Domestic Violence at Work Network to learn about each others' work addressing workplace domestic violence. Please send us updates about what you are doing so we can profile your efforts. Please feel free to share this newsletter with others! Partners and Collaborators, please save the date for the next meeting of the Domestic Violence at Work Network: November 10, 2015 from 9 a.m. - 5 p.m. (Central European Summer Time) The meeting will be held in the International Auditorium of the International Trade Union Confederation, Boulevard du Roi Albert, Bte 1, 1210 Brussels, Belgium. Details of the meeting agenda to follow. 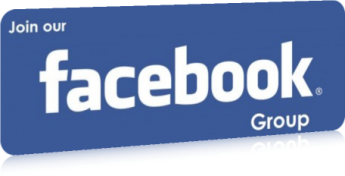 We have just created a new Facebook Group for the Network. You can find it here https://www.facebook.com/groups/698476556950658/. Please join and use the group to post news about your work or about initiatives you are aware of that relate to domestic violence in the workplace. You can also invite others to join the group! The Australian Council of Trade Unions (ACTU) has called upon the Australian government to provide all full-time workers with access to 10 days of paid leave for those experiencing domestic violence (DV). This push for paid leave recognizes the time needed for employees to attend to matters related to DV. This policy also acknowledges that many victims of DV are likely to have exhausted their paid leave entitlements, leaving many to choose between losing their jobs or continuing to put themselves at further risk. As such, this entitlement affords employees the opportunity to attend to DV-related concerns such as court proceedings, seeking legal advice, or other urgent matters, while still maintaining their employment. The importance of remaining employed cannot be overstated, as the financial independence gained from employment is a critical pathway to leaving a violent relationship. Accordingly, 10 days of paid leave is designed to assist victims of DV to remain in paid employment during times of crisis and support them in the process of leaving a violent partner. Currently, DV leave is available for upwards of two million Australian employees, predominately in the public sector, through collective bargaining in enterprise agreements. A growing number of large businesses including IKEA, K-mart, and the National Australian Bank offer paid leave as part of their workplace agreements. Recently, the mid-sized bootmaker Blundstone was added to this list and encouraged other medium-sized businesses, which have been reluctant to adapt such policies, to follow its lead. Although this is tremendous progress, the ACTU contends that access to these entitlements should be made mandatory for all workplaces. 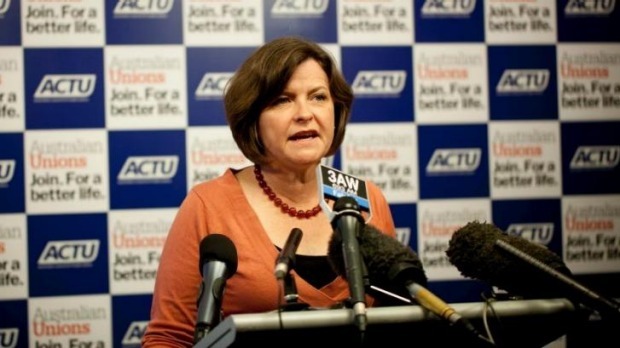 Furthermore, the ACTU’s president Ged Kearney stressed that employers have an important role in reducing the impact of DV. She stated, “By providing domestic violence leave employers are helping send the message that family violence must not be tolerated or swept under the carpet”. Recently, the Australian Labour Party national conference carried a motion stating Labor was committed to domestic violence leave as a universal workplace right with "appropriate" paid leave and employer support. Barbara Byers is the Canadian Labour Congress’ new Secretary-Treasurer, bringing a wealth of experience to the job as a labour leader committed to inclusiveness and as a “Prairie Populist”. Barb has fought for the underdog all her life: first as a social worker, then as President of the Saskatchewan Government Employees Union (SGEU) and as Saskatchewan Federation of Labour President (SFL). Barb’s commitment and energetic work led to her being elected as a CLC Executive Vice-President in 2002 and now as Secretary-Treasurer in May 2014. As a social worker in Saskatchewan, Barb addressed issues of poverty, youth unemployment, Aboriginal concerns, equality for all and labour rights. That political activism brought her to the leadership of the SGEU in the face of strong challenges from the anti-labour Conservative government of Grant Devine and four turbulent years opposing privatization, the weakening of labour laws for both unionized and non-unionized workers, reductions in social services and attacks on the public sector. Next Barb became President of the Saskatchewan Federation of Labour, working to overwhelmingly defeat the scandal-ridden Saskatchewan government and fight for a better province for over 14 years.Her strong record led to being elected as an Executive Vice-President of the Canadian Labour Congress in 2002 and now Secretary-Treasurer in May 2014. Barb has been responsible for labour education; medicare and health care; workplace training and technology; employment insurance; apprenticeships; and issues of concern to women workers, workers with disabilities and gay, bisexual, lesbian and transgender workers. For twelve years, Barb also played a key role representing Canada as one of 14 worker delegates on the Governing Body of the International Labour Organization, the United Nations agency bringing together governments, employers and workers in common action to promote decent work throughout the world. The Canadian Labour Congress (CLC) is becoming a key player in the domestic violence at work awareness movement in Canada. Informed by its survey completed in partnership with Western University’s Centre for Research and Education on Violence against Women and Children (CREVAWC), the CLC has successfully lobbied the federal Minister of Labour to agree to a roundtable on domestic violence at work, is collecting and sharing best practices among member organizations, is encouraging several provinces to improve occupational health and safety legislation, and is regularly presenting the survey research results at conferences. The CLC has also joined the chorus of voices supporting a National Action Plan on Violence Against Women and has supported the shelter movement’s new online resources Sheltersafe.ca. In the coming months the CLC plans to pilot a new course on how to represent and engage women in the workplace that will include domestic violence considerations, and they will be releasing a toolkit to affiliates with resources for collective bargaining and member education that includes model language on supports such as paid leave for survivors. “I think we’re helping open people’s eyes. In response to our survey, employers have started surveying their own organizations. We’re helping folks to understand that they need to take domestic violence seriously. 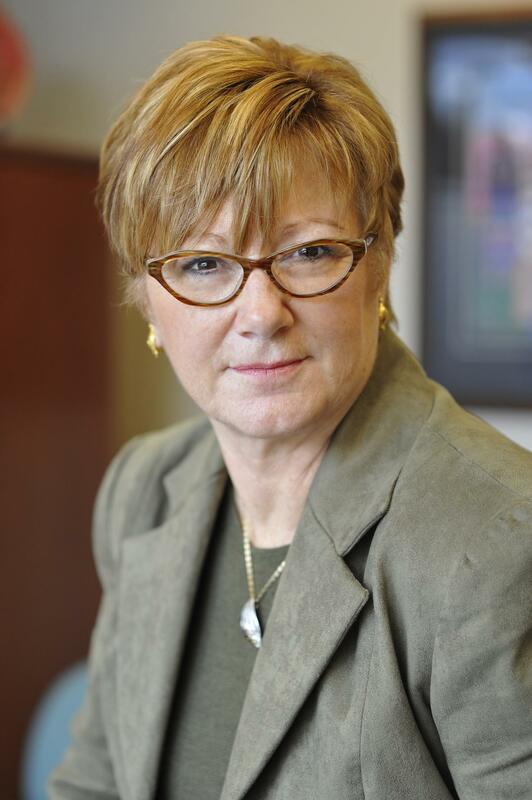 Our goal with the survey was to start a conversation, and that’s now happening,” said Smallman. Visit Twitter and Facebook to follow the CLC’s anti-domestic violence efforts. The Women and Work Research Group (WWRG) at the University of Sydney Business School provides a scholarly environment for inquiry into all aspects of women, work, employment, family and community in the Asia-Pacific region and beyond. It provides a focal point for collaboration with established and emerging scholars, with research centres with similar interests and with practitioners and policy makers in the field. The WWRG has an extensive membership of academics and practitioners and holds regular seminars, roundtables and conferences. The WWRG also engages closely with public and political debates about maternity, family and carers' leave, the implications of changing industrial relations regulations on women, child care and family violence. Recent studies and reports have included a focus on women and leadership in the NSW public sector, on work and care chains in the Asia-Pacific, analysis of the financial impact of changes to Australia's paid parental leave system and bargaining for paid domestic violence leave. DV @ Work Network members Barb MacQuarrie and Ludo McFerran will be presenting at the World Conference of Women’s Shelters in The Hague this coming November. They will be presenting on the network’s core mandate - address domestic violence in the workplace. The annual conference is in its third year, and has a strong mandate act to end violence against women. To learn more about the conference, or to register for it, visit www.worldshelterconference.org. The growing evidence that the effects of domestic violence often “spill-over” into a place of employment, causing significant impact on victims, perpetrators, co-workers and the organizations as a whole have generated interest and commitment from employers to create policies. To date, most policies have focused on providing support for workers experiencing domestic violence and ensuring safety for everyone in the workplace. Now, effort is also underway to develop a template for a workplace policy that directly addresses perpetrators of domestic violence who are employed. One of its authors, Jane Randal, who is a senior advisor with the NFL, consulting on their policies involving domestic violence and sexual assault, as well as the co-founder of No More, a national public awareness campaign designed to engage bystanders around ending domestic violence, sees the need for such a policy. When you look at the existing workplace policies and procedures, Ms. Randall remarked “there have been years for people to handle victims but nothing really specific to do with perpetrators”. She insightfully goes on to say that workplace policies for victims of domestic violence “can stand alone”, however there is an important place for policies that address perpetrators, as “they are two halves of a whole”. For her, creating this type of policy is about creating an “environment of support”, one where domestic and sexual violence is not tolerated and is completely addressed. Although authors have yet to publicly release the policy template, the work comes at an appropriate time, given the high profile cases of domestic violence that have been highlighted in the media recently. 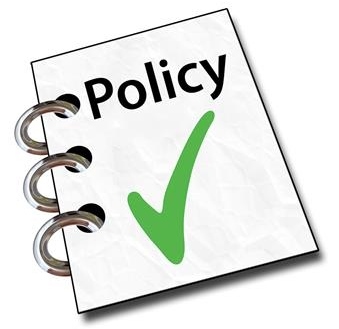 In fact, when asked about the willingness that employers have with adopting these types of policies, Ms. Randal stated that “it is still slow going for organizations taking on these issues themselves” but there is increased openness for exploring these issues and many are “willing to have the conversations”. We will provide an update on the progress of the policy template to address domestic violence offenders in the workplace in the next newsletter. The initial findings of the first Canadian national survey on DV in the workplace were released in November 2014. To contribute to the knowledge base and encourage further research in this area, Western University researchers, Drs. Nadine Wathen and Jen MacGregor (Faculty of Information & Media Studies), as well as CREVAWC’s Community Director, Barb MacQuarrie, and Master’s students Mike Saxton and Laura Olszowy, have been working on preparing academic manuscripts based on the survey data. 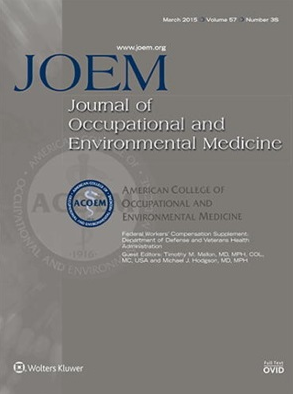 The first of such papers, entitled ‘The impact of domestic violence in the workplace: Results from a Pan-Canadian survey,’ was recently published in the Journal of Occupational and Environmental Medicine, an open-access journal which makes the article freely available online. Several other papers focused on workplace supports for DV, workers’ perceptions of DV, and the relationship between DV, work, and health, are currently undergoing peer review in other scientific journals. Eight years ago this June Brazil passed its first national anti-domestic violence legislation. Social worker Laís Araújo says that the law has helped spur the needed support networks. “Due to a lack of knowledge of how to handle the issue, health officers used to underreport cases of domestic violence, treating the problem observed as an isolated case. Now, we work in a network, as health officers cannot deal with the problem alone,” explains Laís. While DV @ Work is developing its website, you can send information or inquiries to bmacquar@uwo.ca or communicate with us via Facebook.